The user connects to a malicious computer one time — and chooses to trust the computer. That’s the only experience from the end user that you see in this attack. From now on that malicious computer can still communicate with the device via Wi-Fi — and there is no indication of this for the end user. While the attack itself is easy to enable, it is also easy to (as one may deduce) prevent. 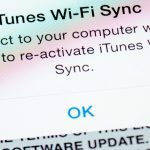 You mustn’t sync your device when asked by a computer’s iTunes to do so. The problem here is, put simply, most iTunes users sync their devices at one point or another. As such this is still a huge problem and Apple, according to the Symantec presentation, was notified about the vulnerability. Apple’s response to the vulnerability was to update iOS 11 with a requirement that the user input a unique password to prove their identity. Symantec, however, does not believe this truly solves the issue in a “holistic” way. The problem remains that, even with the password, if a computer is infected and accessed by a hacker there is nothing that the user can do. For now, Symantec recommends going to “Settings > General > Reset > Reset Location & Privacy” and reauthorizing “all previously connected computers next time they are connecting the iOS device to each device.” This is only a temporary fix, however, and ultimately it will take some work on Apple’s part to fix this exploit in an intuitive fashion. Derek Kortepeter is a graduate of UCLA and tech journalist that is committed to creating an informed society with regards to Information Security. Kortepeter specializes in areas such as penetration testing, cryptography, cyber warfare, and governmental InfoSec policy.